Please note Freedom Through De-conditioning with Swami Prem Prasad occurred in past. Becoming aware of the numerous restrictions, beliefs, opinions and limitations that are imposed on us is a necessity on every sincere spiritual path. Together we will identify, examine and release ourselves from the burdens and unatural tendencies and thoughts we have been raised with and that continue to influence us. 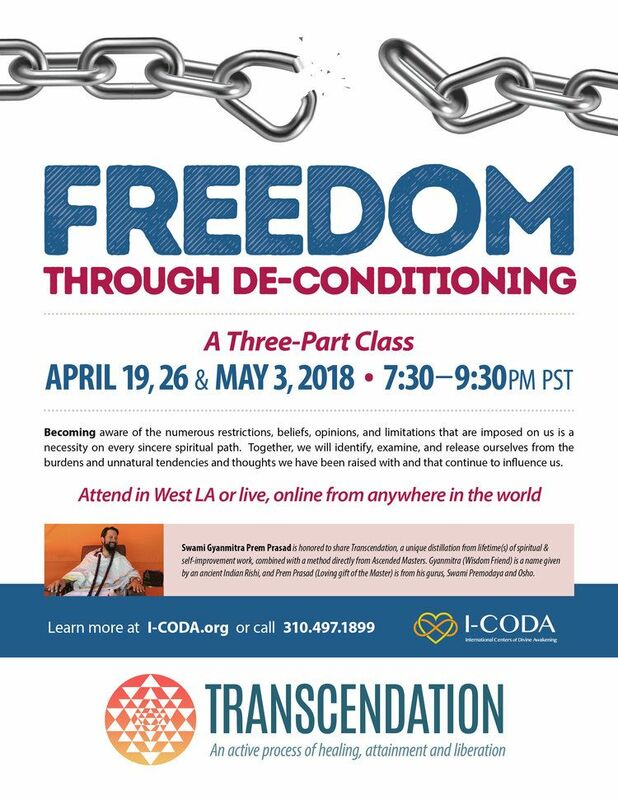 This 3 part class takes place on 3 consecutive Thursdays, April 19, 26 & May 3, 2018.